Chief Warrant Officer Rus Nielsen, from Pasadena, California, graduated from flight school in January 1966. Since that time, he has logged over 4700 flight hours, 1600 of which were flown in combat. 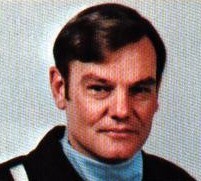 A graduate of the University of Southern California School of Aviation Safety Management, he serves the 1976 Silver Eagles as both "Right Wing" and Safety Officer.